This Father's Day host a picnic and make a pretty cake! This particular dessert is by far, one of my favorite's to make. It is easy, not overly sweet and filled with fluffy goodness and mouth watering flavor. It's a pretty basic concept. White cake, whipped cream and strawberries. 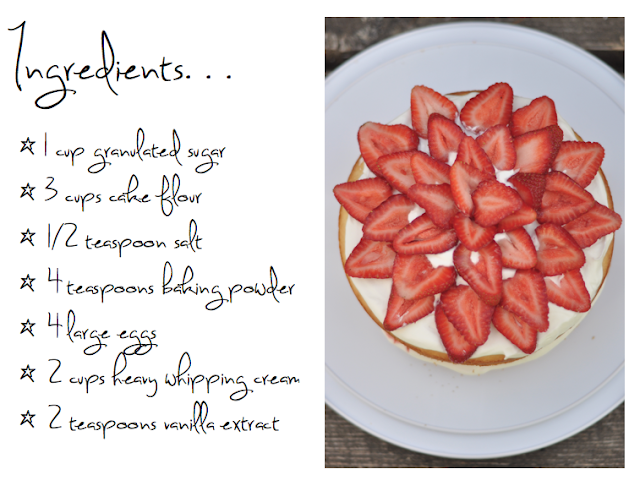 I use a whipped cream cake recipe from the All Cakes Considered recipe book. It is probably one of the best I've ever made, hands down. Not only is it amazingly fluffy and delicious, it is also incredibly easy. My favorite part? It does not call for butter. I always have an issue with how soft my butter is. I never remember to pull it out of the fridge on time. You'll also need 1 box of fresh strawberries and about 3/4 cups heavy whipping cream to top the cake. • Whip the cream and sugar in the cold bowl until it thickens to the consistency of cool whip. For those of you like me, who have never had/seen/tasted cool whip, imagine a nice thick, but still somewhat liquidy cream. • Bake for 20-25 minutes (my oven baked them to perfection at 23 minutes). NOTE: this recipe was meant to make three tiers. This particular cake would be a catastrophic mess with three tiers, so I baked the third tier but gave it to my family with some strawberries and whipped cream, to enjoy in a less grande fashion. 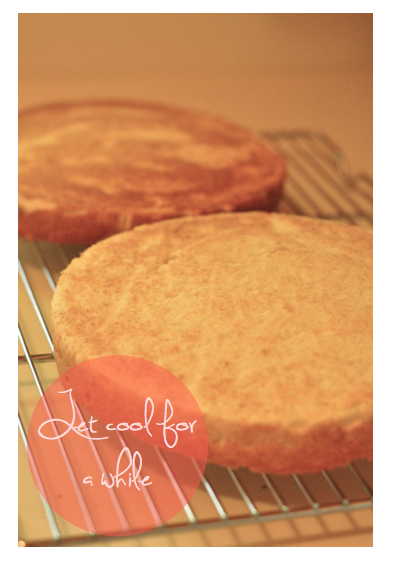 Once the cakes are done baking, set them out on a wire rack to cool (for a while!) No one likes melted whipped cream and warm strawberries. Meanwhile, split a package of strawberries in half wash and hull them. Smash half with a pie dough cutter and slice the other half neatly in heart shaped pieces. 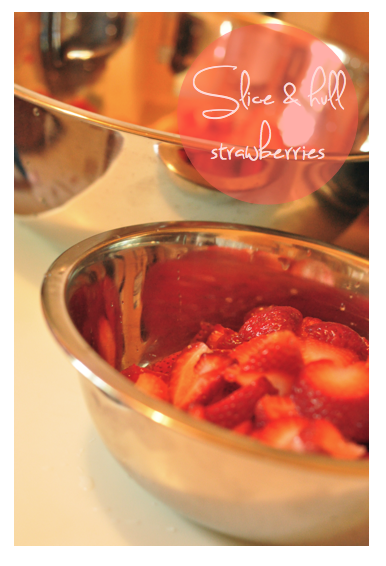 Once you've finished cleaning and cutting the strawberries whip the cream in a chilled bowl until thick and foamy. 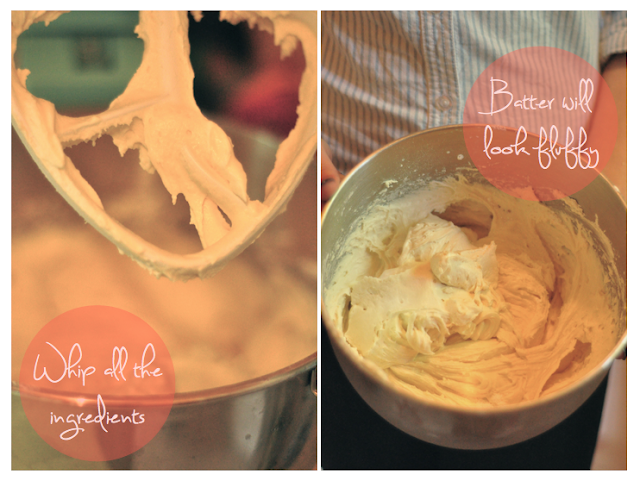 Basically enough for it to hold it's shape but stop whipping before it turns to butter! Now for the fun part: the decorating. Cover the bottom tier with whipped cream (be sure to center the cream so it doesn't ooze out the sides when the second tier is placed). Put the smashed strawberries over the cream and cover with the second tier (domed side up). 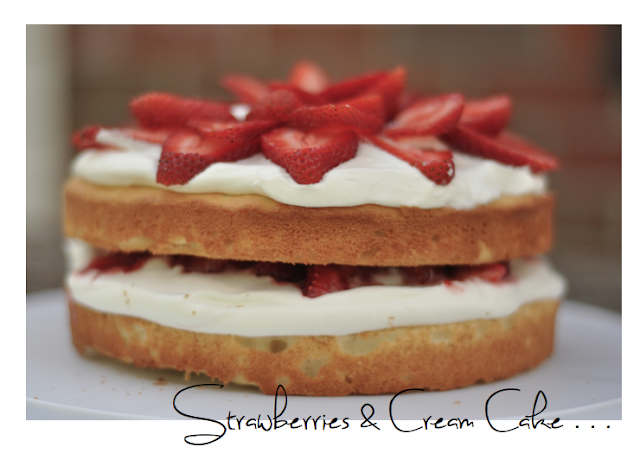 Cover the top with cream, just as you did below and decorate with the cut strawberries.